Allergies arise in our bodies when there becomes an inability to process a foreign invader. When the body encounters something that it is not able to process, the body uses histamines, and other inflammatory mediators, to attack the invader. This attack is the body’s attempt at defending itself from a potential threat. However with allergic hypersensitivities the body will over produce these defenders, thus putting the body in a constant state of inflammation whenever the suspected allergen is near.When the body is in constant state of inflammation it keeps the body in a constant state of autoimmune stress. This stress can fatigue the body and, over time, lead to a multitude of chronic illnesses. 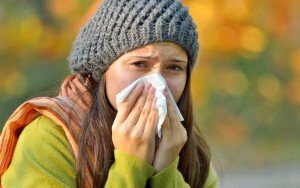 The most common allergies involve a sensitivity to specific foods or airborne pathogens. Other common allergies include sensitivities to medications such as penicillin, insect bites, and synthetic compounds such as latex. Gluten sensitivities have become an increasingly common occurrence in our population within the last 20 years. With our increased consumption of the “SAD Diet” (Standard American Diet), we are now eating more processed, refined and enriched foods more than ever. In many cases, our bodies struggle to breakdown and absorb these meals because our bodies were not designed to consume highly processed and genetically modified foods. The over consumption of these foreign foods can trigger a histamine reaction creating a food sensitivity.Symptoms of a gluten sensitivity include headaches, brain fog, skin problems, hormonal imbalance, adrenal fatigue, unexplained weight loss or weight gain, and abdominal bloating, pain, and discomfort. By identifying the potential food allergen and removing it from our diet will make us less bloated, loose weight, and have more energy to do the thing we enjoy. In many cases a cleanse or elimination diet will help in the identification of many of these food allergies. It is very difficult to govern the quality of air we breathe on any given day. A person can try and consciously avoid allergens that cause a histamine reaction, or they can take antihistamines to suppress the reactions that are unavoidable. We cannot necessarily control our outside environment; however, we can control the quality of air that we breathe indoors. One of the greatest ways to decrease airborne allergens inside of the home or office is to invest in a HEPA filter. A HEPA filter helps to clean and filter the air decreasing the amount of stray contaminants that can invade our homes and offices putting us in a constant state of inflammation and discomfort. Studies have also shown that specific spinal manipulations to the cervical and thoracic spine have had effects on the minimization of common symptoms associated with allergies and their associated inflammatory response. In many cases when a spine is healthy and aligned, symptoms associated with food or airborne allergens are greatly diminished.